The Dragon’s Tail is a HO scale slot car track built by Harlan and Scott Scarboro. It is located in New Albany, IN. In the winter of 2015, we hosted the first annual Dragon’s Tail Road Rally proxy race. 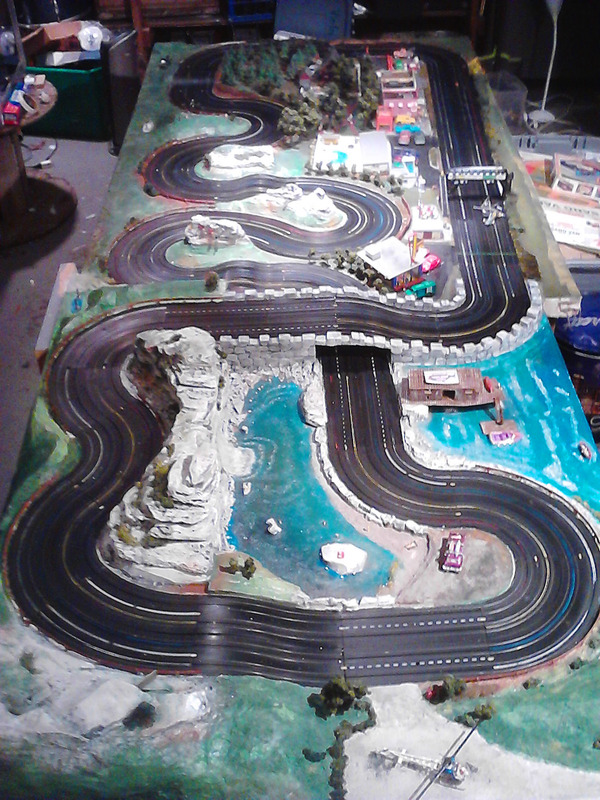 The Dragon’s Tail is a fully landscaped 4 lane road course made with original Aurora Model Motoring lock and pin track featuring hills, bumps and crisscross sections. Track power source is a digitally regulated lab grade 30v 5A DC power supply set at 19 volts.